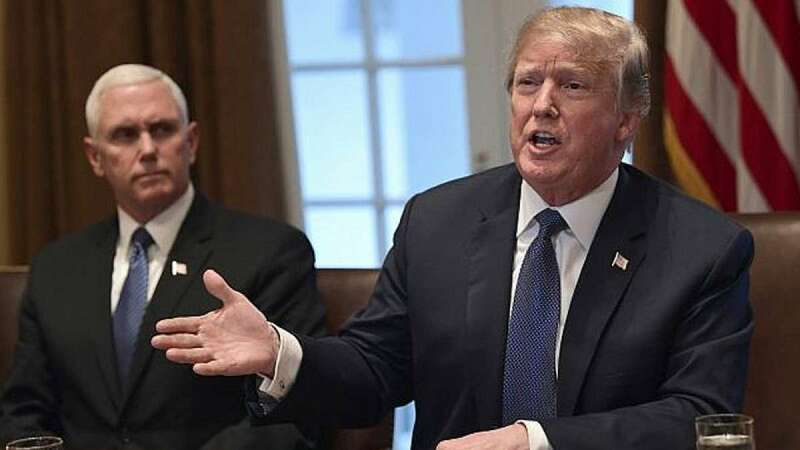 Washington : US President Donald Trump believes that he has the power to fire Special Prosecutor Robert Mueller, who is heading the probe into the links between his campaign and Kremlin efforts to influence the 2016 election, the White House has said. At her daily press conference, White House Press Secretary Sarah Huckabee Sanders on Tuesday was repeatedly asked by reporters if Trump believes he has the authority to fire Mueller. Sanders replied: "We've been advised that the President certainly has the power to make that decision", an answer suggesting that the White House has checked into that matter. That statement, however, contradicts the opinion of many legal experts. They say if Trump wanted to fire Mueller he would have to turn to Deputy Attorney General Rod Rosenstein who was the one who named Mueller to head the Russia probe and is overseeing his investigation. Sanders said that the White House does not agree with the idea that only Rosenstein has the authority to dismiss Mueller. Sanders said that the White House had received the advice of its own legal experts and Justice Department personnel. Rosenstein is responsible for supervising the special counsel because US Attorney General Jeff Sessions had to recuse himself from the Russia investigation in March 2017 after it came to light that he had hidden from Congress facts about several meetings he had with then-Russian Ambassador to the US Sergei Kislyak. Then, Rosenstein named Mueller special counsel and tasked him with investigating the alleged links between members of the Trump campaign and the Kremlin. During his investigation, Mueller discovered compromising information on Michael Cohen, Trump's personal attorney, and shared it with the US Attorney's Office for the Southern District of New York, which on Monday ordered a raid on Cohen's offices and his hotel room to seize documents. The incident enraged Trump, who reportedly is now weighing the idea of firing Rosenstein, given that he gave the final approval for the raids, according to local media. When questioned whether Trump is considering firing Rosenstein, Sanders said that the President several times has expressed his "frustrations" with the DOJ official. Trump's numerous and frequent public criticism of Mueller and Rosenstein for months has fuelled rumours about their possible dismissals, something that the Democratic opposition in all likelihood - and perhaps certain Republican lawmakers as well - would consider to be a direct attack on US democracy.